"Prior to opening a hospital here, we were obliged to transport those of our surgical cases, whom we could persuade or were able to be taken to Kansas City or Topeka….I can clearly recall a number of lives that might have been saved could they have had the advantages of hospital care…," so stated Ellsworth's Dr. H. Z. Hissem at a commencement program on May 24, 1924. Dr. Hissem along with Dr. Harry O'Donnell were instrumental in changing healthcare availability in Ellsworth County over 100 years ago. When doctors Hissem and O'Donnell arrived in town, the only hospital for many miles was the Union Pacific hospital. It was a two-story house west of the Frisco and Union Pacific crossing in Ellsworth. This hospital was used for the employees and passengers of the railroad and was operated by Dr. George Wright. Doctors Harry O'Donnell and H.Z. Hissem established the first public hospital in Ellsworth in 1897. The doctors not only served as surgeons who maintained their own private practices, but also started, maintained, and administrated the hospital. Their courageous steps to establish a hospital years ago was a blessing then and continues to have a profound impact to this very day. Dr. Hissem, a graduate of Bellevue Hospital Medical College in New York City, was well-known for his surgical skills. He immersed himself in the Ellsworth community and at one point, was elected as mayor. 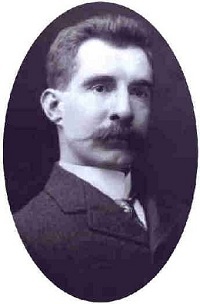 Dr. Harry O'Donnell, also a graduate of Bellevue, hailed from a long line of doctors and was eventually succeeded by his own son, Dr. Clair O'Donnell. Dr. Hissem recalled the beginnings of the hospital, "Dr. Harry O'Donnell and myself perfected arrangements with the lady board of managers of the Bickerdyke Home whereby we could make use of a few rooms in what is now the barracks. We had, I think, four rooms for patients and an improvised operating room." (This hospital was located at what is now the Good Samaritan Retirement Village.) Despite the very crude operating room, Hissem remembered, "I must say that there was some wonderful surgical work done in that room." The first appendectomy in Ellsworth was performed at this location by Dr. J. W. Perkins of Kansas City. Dr. Perkins would come and operate when sent for or when he could be persuaded to come to Ellsworth. 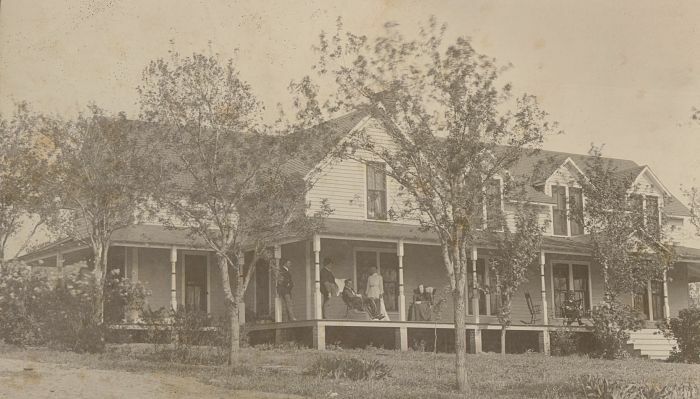 This association and make-shift hospital continued until 1900 when the state of Kansas took over the Bickerdyke Home and forced the doctors to move the hospital. In 1900, the Ben Fagan home at Third and Blake Streets (lots 1,2,7 & 8 in block 26 of Blake's Addition) was purchased for $1,710 by The Ellsworth Hospital Association for the establishment of a hospital. The Association was comprised of Drs. O'Donnell and Hissem along with two Ellsworth druggists, Mr. George Seitz and Mr. W. E. Sherriff, and Dr. J. W. Perkins. The property was remodeled into a 14-bed frame hospital, with a sky-lighted operating room. In 1904 the association was granted a charter under the title The Ellsworth Hospital Association and Training School for Nurses. "In about five years we remodeled this hospital, giving us four or five more rooms. This in time became inadequate and we began to consider the erection of a real hospital, one that would be a credit to the town and community," recalled Dr. Hissem. Dr. Harry O'Donnell passed away in 1907 leaving Dr. Hissem to carry on the leadership alone for awhile. 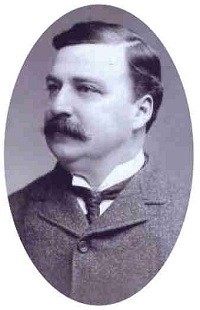 Dr. Alfred O'Donnell, who had been Dr. Perkins' assistant for several years, succeeded his brother Harry on the staff and served as a resident surgeon for the hospital. The Ellsworth Hospital continued to grow under the leadership of well-qualified doctors. Seven years after the hospital was started, the Ellsworth Hospital School of Nursing began. The first superintendent of the Nurses' Training School was Miss Nell Kenniniger, and the first graduate was Mae Waring in 1906. Students gleaned practical experience in a hospital setting while attending classes led by the physicians. On April 2, 1920 a charter of the Ellsworth Hospital Company was filed. Capital stock totaling $75,000 was sold for $100 a share. The first directors of the corporation were B.L. Gardanier, President; J. Shannon, Vice President; A.W. Swayze, Secretary; and Harry Kunkle, Treasurer. T.G. O'Donnell, Joe Kalina, Jr., and R.G. Nichols also served on that board. On May 31, 1921 the Ellsworth Hospital Association officially changed its name to The Ellsworth Hospital Company. 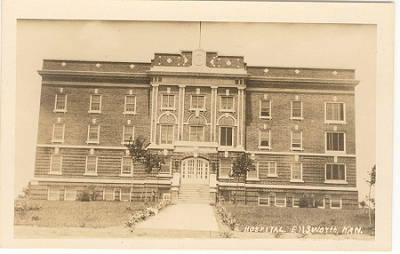 The Ellsworth Hospital Company was responsible for the building of the large brick-faced hospital in 1921 at a cost of $100,000. 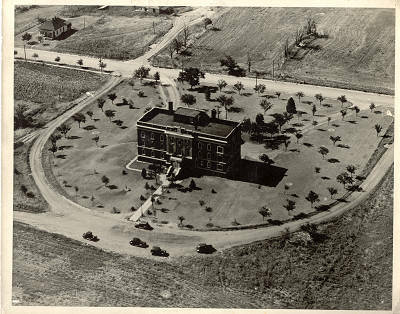 The building was a four-story, 40-bed hospital which to this day, stands on a hill overlooking the Smoky Valley. Nearly all the rooms were furnished by organizations and individuals of the community. In the May 24, 1924 Ellsworth Reporter, Dr. Hissem wrote, "…our efforts culminated in the erection of, not the largest, but the most modern and best furnished hospital in the state of Kansas." The hospital had private rooms, as well as four wards, with two operating rooms on the top floor, and an elevator servicing all floors. The staff was comprised of Dr. H.Z. Hissem, Dr. Alfred O'Donnell, Dr. Clair O'Donnell, Dr. B.H. Mayer, Dr. W.J. Scott, and Dr. George Davis of Kanopolis. Dr. Alfred O' Donnell was manager, Miss Martha Buchanan, the superintendent, and Gus Schroeder served as engineer and custodian. While speaking of the success of the hospital, Dr. Hissem commented, "The old adage, 'In union there is strength' applies here. We have the distinction of having all our physicians working in harmony; laying aside petty jealousies, all working to make the hospital a success. You hear of hospital failures in neighboring towns, which condition was invariably brought about by reason of the fact that the doctors were not pulling together." Despite the lack of antibiotics and today's anesthesia, the surgical department at Ellsworth Hospital Company, as well as the obstetric department, continued to expand in volume. Dr. Clair O'Donnell, well-known for his expert surgical skills, kept the these units humming with business. ("Dr. Clair" at one time had practiced at Mayo Clinic in New York.) Additionally, Dr. Clair taught at the Ellsworth Hospital School of Nursing, maintained his clinical practice, made house calls, and performed routine hospital rounds. After the 1921 hospital facility was built, the former hospital building was used as a home for the nursing students until 1946. The foresight of the doctors to take decisive strategic steps to secure the continuance of Ellsworth Hospital by establishing the school is to be commended. An atmosphere of learning and growing pervaded the medical facility during this time. Students in crisp blue and white uniforms from the Ellsworth Hospital School of Nursing bustled up and down the floors readily absorbing new information. Practitioners, students, and nurses labored over learning new processes and grasping new findings. The nurses' training school continued until 1946 when it closed its doors due to increasing state demands. When the last graduates crossed the stage, the Ellsworth Nurses School had introduced 124 graduates into the nursing field. The hospital charter was amended in 1947, incorporating the hospital as a memorial to war veterans of the county. The name was changed to the Ellsworth County Veterans Memorial Hospital, and it became a non-profit corporation. In 1954, a $250,000 expansion of the hospital provided 35 more beds. 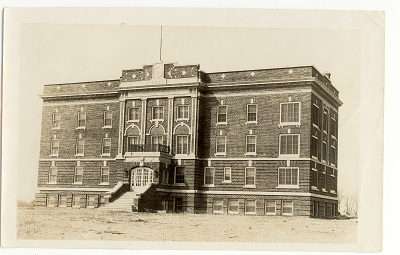 The hospital was now governed by a board of nine trustees, one representing each of the four American Legion Posts of the county, four representing the stockholders, and the ninth trustee was elected by the other trustees. An addition in 1964 increased the facility to 79-bed capacity. This addition cost $350,000 and was a memorial from the John Obadal estate. A chapel and family room were added in 1971 at a cost of $8,000. 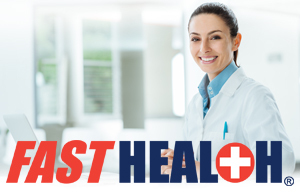 Many doctors and physician assistants came and went during the ensuing years, and the face of healthcare evolved along with the changes. In 1981, Dr. Ronald Whitmer's family practice joined the hospital, and in 1989 Dr. Dennis Kepka connected his family practice with the medical center. Surgeon Elias Hourani came to serve at the hospital in 1989. By the end of the 1980s, there were sharp decreases in the volume of patients utilizing the hospital. The second floor, which had seven beds licensed for skilled nursing care was decertified. That floor was then occupied by laundry, respiratory therapy, medical records, the director of nursing's office, physical therapy, the hospital auxiliary room, conference room, and mammography room. The fourth floor was typically not occupied but remained certified for 22 acute care beds. Despite the dramatic decrease in patient volume, the hospital continued to provide excellent care for area residents with Dr. Whitmer, Dr. Richards, and Chris Gardiner, PA-C on the medical staff, along with twenty courtesy staff physicians. The 1990s were particularly impactful years as Robert E. Johnson of Great Plains Health Alliance became Interim Administrator, and later Mr. Dennis Porter became the Administrator of Ellsworth County Veterans Memorial Hospital. The hospital began to face increasing financial difficulties until, in 1993, Ellsworth County residents voted to make the hospital a county-owned facility with the name, Ellsworth County Medical Center (ECMC). The county bought the hospital for $477,560 minus bond issuance fees. The hospital was thousands of dollars in debt, and a CEO was desperately needed if the hospital was to continue. Anne Grothusen, spokesperson for the hospital board, approached Asbury Hospital (now Salina Regional Health Center, SRHC) and carefully laid out the predicament of ECMC. On behalf of the county she asked, "Will you help us find an administrator?" Clay Edmonds, then CEO of Asbury Hospital, was quite candid with prospective candidate Roger Pearson during his initial visit, "Pearson, we're going to go through the building. If you see what it can be, it may be the place for you." Roger Pearson accepted leadership of the hospital and faithfully served from 1993 to 2009. Of the many challenges facing ECMC in 1993, one of the most glaring was the need to replace the 1921 building. The building was no longer up to code and needed to be replaced; yet, the financial situation of the hospital was grave and patient volume continued to decline. Physician coverage was also strained when, from February 1994 to September 1995, Dr. Dennis Kepka was the only staff physician serving the hospital. Patient numbers continued to decrease, and by 1995 the bed capacity was reduced to 19. After two county votes, the voters approved rebuilding the hospital in its current location. On Thursday, February 11, 1999 all medical services provided by the hospital were moved to the new location, 1604 Aylward Avenue. Construction endeavors and additions to ECMC did not stop with the move to Aylward Avenue. A new CT Scan Wing was added in 2000 due to the generosity of the Wenslow Kyler Estate. The Dennis Kepka Family Practice (Kanopolis, Wilson & Lucas clinics) joined ECMC in January of 2001, with the Ellsworth Medical Clinic (Dr. Ronald Whitmer's clinic) joining shortly thereafter in July of that same year. Groundbreaking for the Ellsworth Rural Health Clinic / Wellness Center was held in December 2002, with doors opening July 2004. The new clinic quickly became home for three physicians, two physician assistants and a nurse practitioner. Another addition came in August of 2005 when the county voted to purchase the Century Manufacturing building which is located just north of the medical center complex. The addition of the manufacturing building enabled many of the administrative offices, along with Health Information Management (medical records), to relocate into remodeled office space. The emptied office space was then converted into an Outpatient Services Area which opened in July of 2008. ECMC continues to grow, expand, and change. One of the chief areas of expansion at ECMC during the last several decades has been in the area of technology. 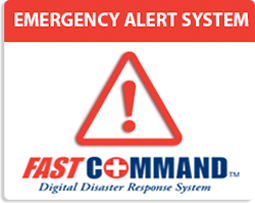 ECMC has positioned itself as a leader in technological advancement. In 2005 ECMC was recognized for this distinction by receiving The Kansas Award for Excellence. The receipt of the award, while a great honor, has not in any way diminished the need for ECMC to acknowledge those who made such awards a reality - patients, supporters, staff, and area residents. 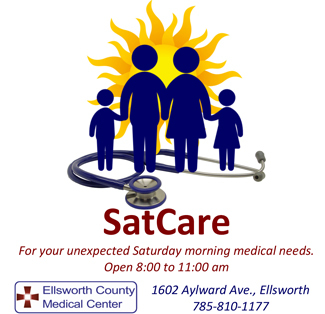 It is by these individuals Remembering the care and enabling it to continue, that Ellsworth County Medical Center will continue Improving Lives.